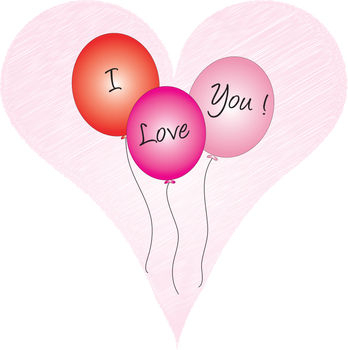 Description: Free Valentine clip art of balloons with I Love You. This clipart image was created exclusively for Acclaim Images by Pamela Perry. Custom illustrations are available by contacting customer service.